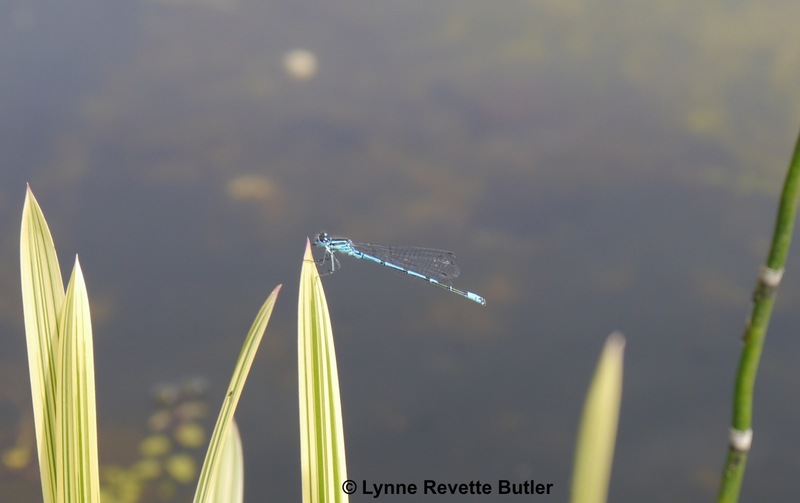 This entry was posted in Environment, Gardening, words and tagged damselflies, distractions, editing, wild garden pond. Bookmark the permalink. LOL 🙂 I’m glad you were able to make the best of a lovely afternoon! Gorgeous shots. I am lucky enough to have a very flexible work schedule which often lets me take advantage of sunny afternoons. I am still learning how to use my new camera, the thirty or so blurred shots of pond weed or my knees were a lot less attractive! I never knew they were called damselflies. I love it, “eddit, eddit..” Have a great weekend! 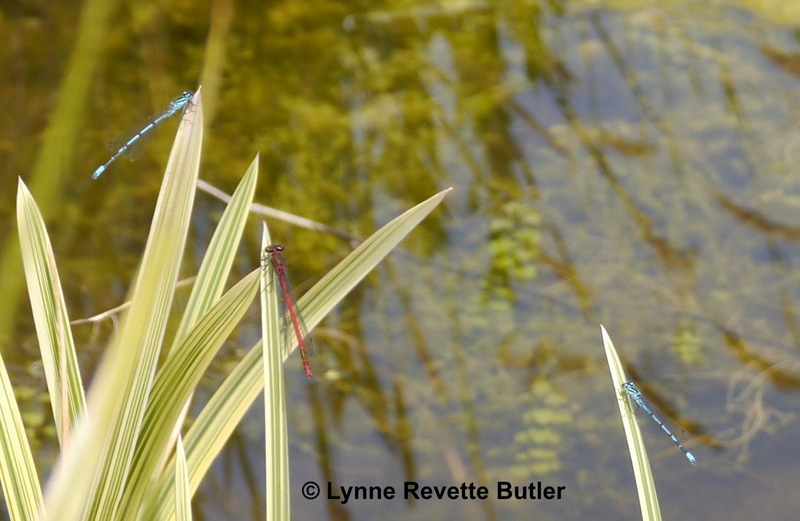 I find it very difficult to distinguish between dragonflies and damselflies until they settle. Generally, the damselflies have a more slender body than the dragonflies and they keep their wings closed when at rest but the dragonflies hold theirs open. Those bright blue ones are my favourites, I have never seen so many together before, they were mesmerizing. Kirsten helped me to find two excellent writing muses earlier this year (chocolate based muses; one dark and bitter, one paler and more comforting who I have called Galaxy) but acquiring a frog muse while I was pondering outside was an unanticipated bonus. Hope you have a happy, peaceful weekend too. Sadly lots of mozzies did arrive not long after I took the photos so I retreated to comparative safety under canvas to finish my editing quota. Thanks for visiting my blog, and thanks for making me laugh; I’ll try to take your advice re frogs. Glad you like the pics. I have never regretted digging the pond and making the wild garden area. I still have plenty of space for the formal flower garden and the vegetable garden and the wildlife that lives in or visits the pond area is a constant source of joy. The number of damselflies on that particular day was exceptionally high and their flight was mesmerizing.